The adventurer of our line-up, offering increased practicality and efficiency. This versatile model boasts more technology and connectivity than ever before, including MINI Navigation and rear Park Distance Control as standard. There is also the option to include MINI ALL4 all-wheel drive, for improved traction and safety in difficult road conditions. 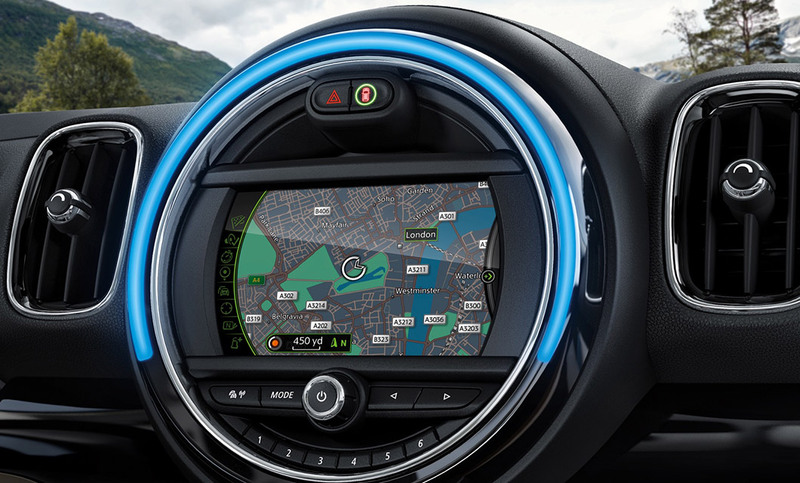 It’s also possible to choose from a host of optional features including the MINI Connected XL Journey Mate, which lets you plan journeys at your leisure and select routes at the touch of a button once behind the wheel. The MINI Countryman is for people who want the real MINI experience, with the option of MINI ALL4 all-wheel drive. With exceptional agility and outstanding traction on any surface, the Countryman is a supremely fun ride. Not only this, but the Countryman is also kind to the environment, with reduced CO2 emissions that meet EU5 standards. There's never been another MINI with so much interior flexibility, or space. 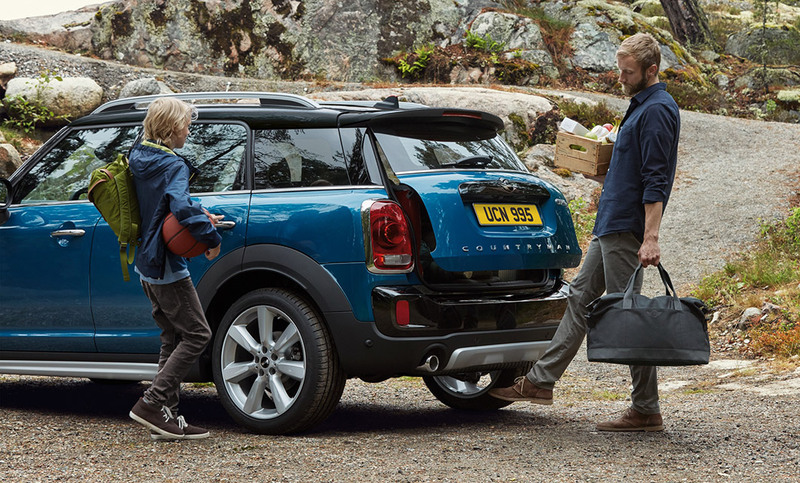 The longer body of the MINI Countryman means it has space for up to five people, plus plenty of luggage. Despite its four doors and overall length, the MINI Countryman is very much a MINI, thanks to its classic front-end styling. Benefit from optimum lighting while driving - even on curves - thanks to optional bi-xenon headlights, adaptable to the direction of the road. 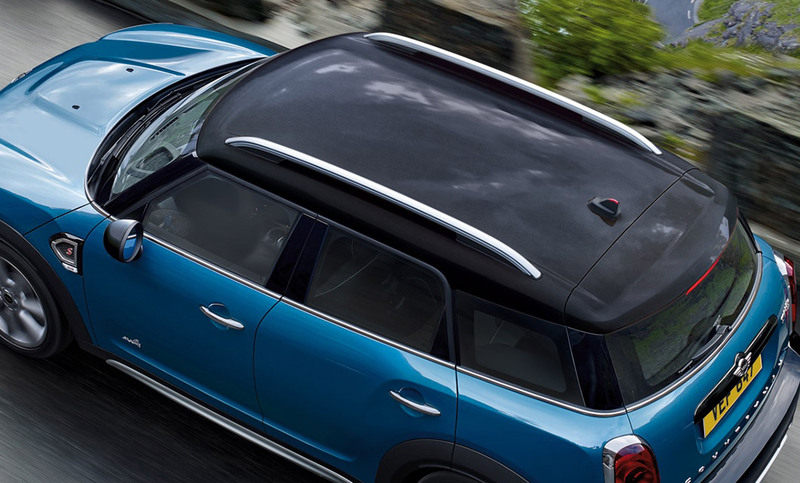 Six generous airbags are included as standard in the Countryman. Driver and passenger airbags offer protection from any obstacles straight ahead, while side and head airbags minimise the risk of injuries from the left or the right. The rugged and masculine looks of the MINI Countryman are unmistakably MINI. The addition of the brand new front grille with optional MINI ALL4 Exterior styling (standard with ALL4 All-Wheel drive) helps to further enhance its off-road presence.